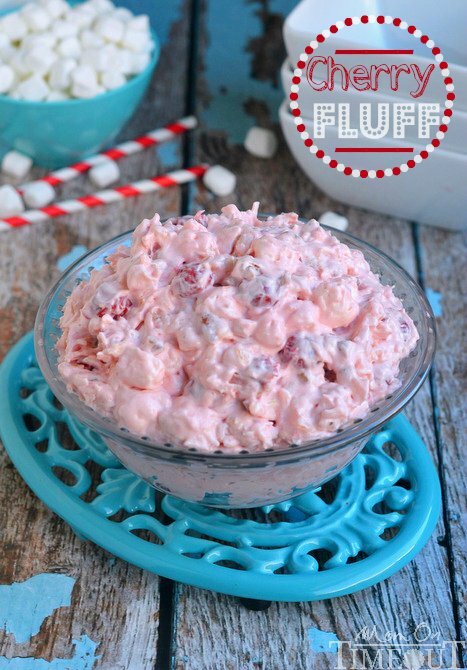 Cherry Fluff dessert salad is one of my favorite cherry recipes! This easy dump and go salad is perfectly sweet, pretty and pink! Fold in remaining three ingredients.